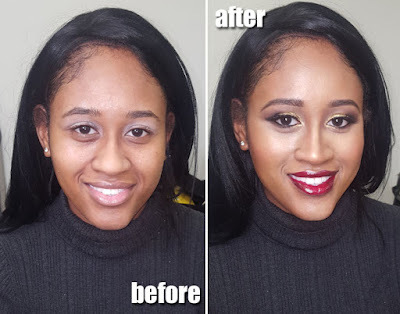 Home before and after glitter graftobian Holiday holiday makeup makeup for women of color makeup on dark skin new years makeup New Year's Eve Makeup: Gold glitter and red lips! 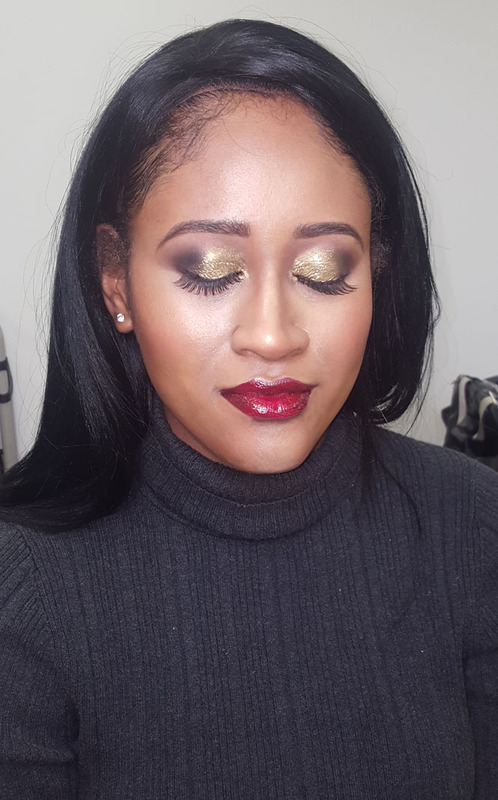 New Year's Eve Makeup: Gold glitter and red lips! I'm back with another before and after. I love when my clients are not afraid to play with makeup. 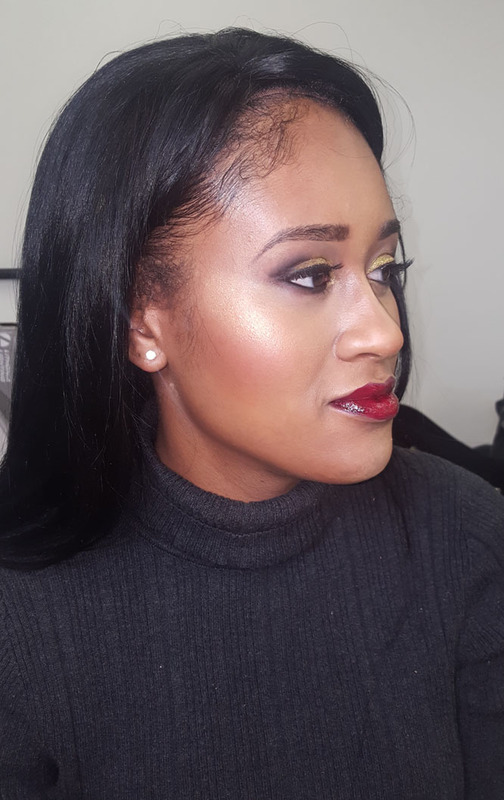 I had a gorgeous client come in for New Year's Eve makeup. We went for classic holiday style - gold eyes and red lips. Check it out! Who doesn't love a good before and after? I applied eyeshadow primer before I remembered to take the before shot, so please excuse the white lids. On the eyes I used Graftobian Gold glitter...make sure to use a cosmetic grade glitter because it's cut finely enough not to damage the eyes. I made sure to give her some extra glow using MAC Gold Deposit MSF. I've been using this combo of Make Up For Ever Acrylip a lot lately...a burgundy on the inside and a berry red on the inside. Love the ombre effect.